Carolyn's School of Rhythmic Gymnastics (CSRG) is a Rhythmic Gymnastics School based in Selangor, Malaysia which is established in 2010 founded by Carolyn Au Yong. 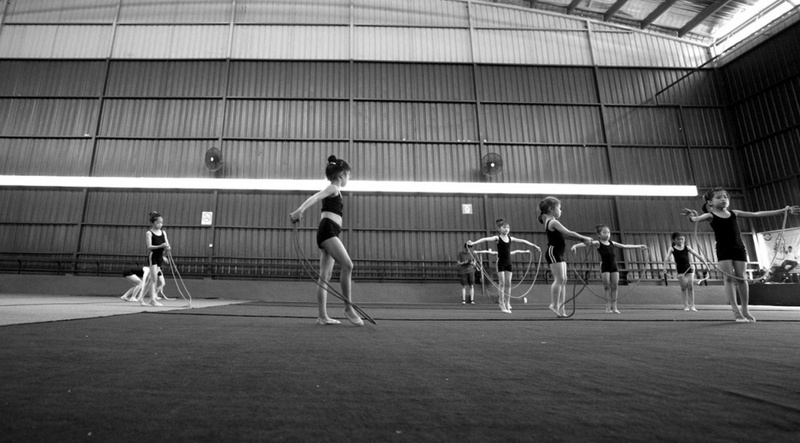 CSRG has become one of the most successful rhythmic gymnastics schools in Malaysia offering various programs, designed for children aged 4 and above. CSRG is a training ground for both recreational and competitive gymnasts to receive highly professional training and improve physical development. Carolyn's School of Rhythmic Gymnastics is affiliated with Malaysian Gymnastics Federation (MGF) and Selangor Amateur Gymnastics Association (SAGA). Providing children with an opportunity to participate in rhythmic gymnastics competitions is a top priority for CSRG. To reach this goal we expose our gymnasts' to many local and international competitions throughout the year. We are very proud of our rhythmic gymnastics team, which traditionally ranks high in state, and national rhythmic events following the Malaysian Rhythmic Gymnastics Classification Program as well as the International Gymnastics Federation (FIG) Code of Points. CSRG makes every effort to create the most positive and rewarding rhythmic gymnastics experience for your child. We create young champions in a positive atmosphere that enhances self-esteem and confidence. Check out our gymnasts’ achievements, including State, National and International competitions, to see for yourself how it works. ​Our school has also brought many girls to achieving great heights including three girls who are currently training in the Malaysian National Team. CSRG has a team of qualified and enthusiastic coaches with good teaching experience. CSRG coaches have an invaluable experience to develop each child’s self-confidence and self-esteem, improving physical strength and developing self-confidence. Our coaches guide gymnasts’ parents through the each level of development, meeting both physical and mental needs of each unique child.